The ideal test tool for maintenance, troubleshooting and performance testing of individual stationary batteries and battery banks used in critical battery back-up applications. Covers a broad range of battery test functions ranging from DC voltage and resistance tests to full condition testing using automated string function testing and the test probe integrated infra-red temperature measurement system. 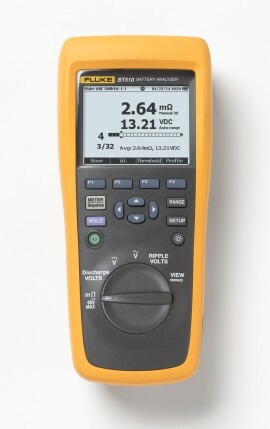 Also check our Battery Load Testers!